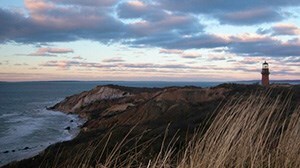 Are you planning a trip to the island of Martha’s Vineyard? Before you go, here are some tips that might help you prepare for your island adventure . . . Car ferry tickets sell out, so be sure to purchase them early. If the dates and times you’re interested in are already sold out, sign up for the wait list — this tends to be successful, especially if you register early. Pets are allowed free of charge on the ferry. Bicycles are allowed on the ferry and do not need a reservation, but there are small charges for them depending on which ferry you take. 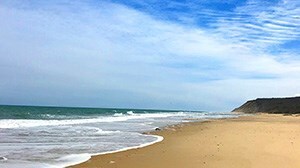 There are no liquor stores in Chilmark, West Tisbury, Vineyard Haven, or Aquinnah, although all except Chilmark now allow the sale of beer and wine with meals in their restaurants. Chilmark is now the only truly ‘dry’ town on the Island and requires you to bring your own liquor. 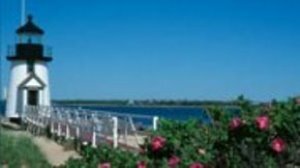 There are no fast food eateries on the island, with the exception of the Dairy Queen in Edgartown, which was grandfathered in many years ago. Be sure to get your fix before visiting! 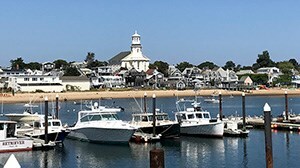 Life on Martha’s Vineyard is a bit more relaxed than it is on the mainland. The only rush hour traffic is beach traffic, so be prepared to slow down! In fact, it might be a good idea to leave your car at home and consider riding a bike—parking it will be a lot easier! Don’t plan on being out too late at night—bars and clubs close between the hours of 12:30 and 1 a.m.
Martha’s Vineyard is a wonderful place to visit and explore—we hope these helpful tidbits make your stay that much more enjoyable!